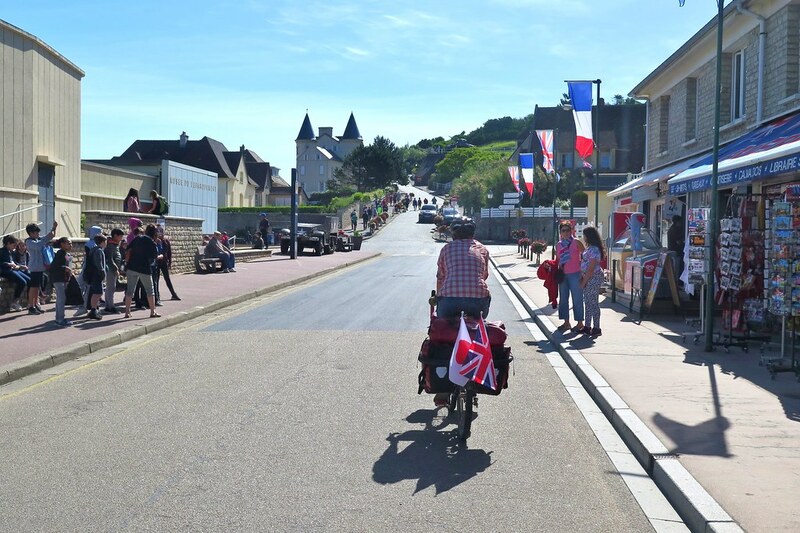 Immediately away from Arromanches, we had to gain back the altitude we’d lost riding down into the town. It was a very steep climb back on to the cliff tops. Pride wouldn’t let us push though, especially as loads of tourists were walking up to the museum at the top of the road, so we rode past them, trying our best to look like it was no effort at all. It was quite an effort. After the initial push, we coasted back down to sea level and the ride was pretty flat for the rest of the day. 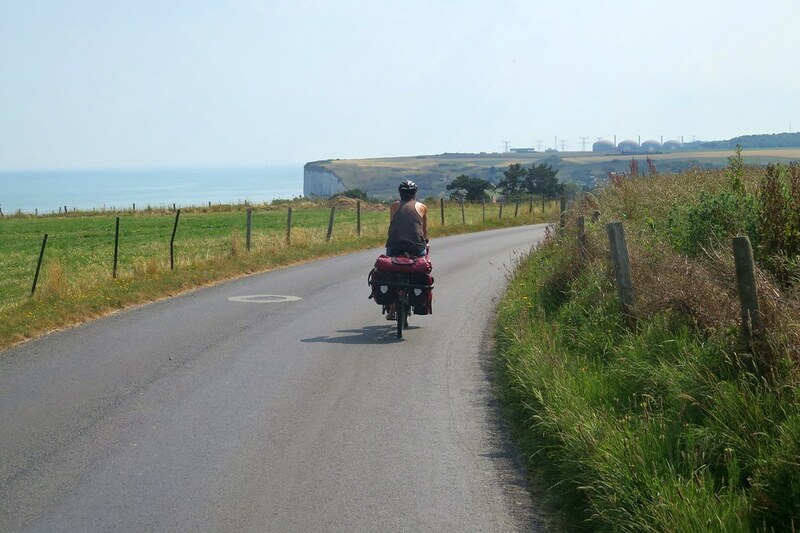 We met a group of Brits from Nottingham on touring bikes who’d been on a short trip along the beaches, then another guy, Tony from Redditch who reads Crazyguyonabike. We chatted for a bit as we rode, but soon drifted away at our own respective paces. 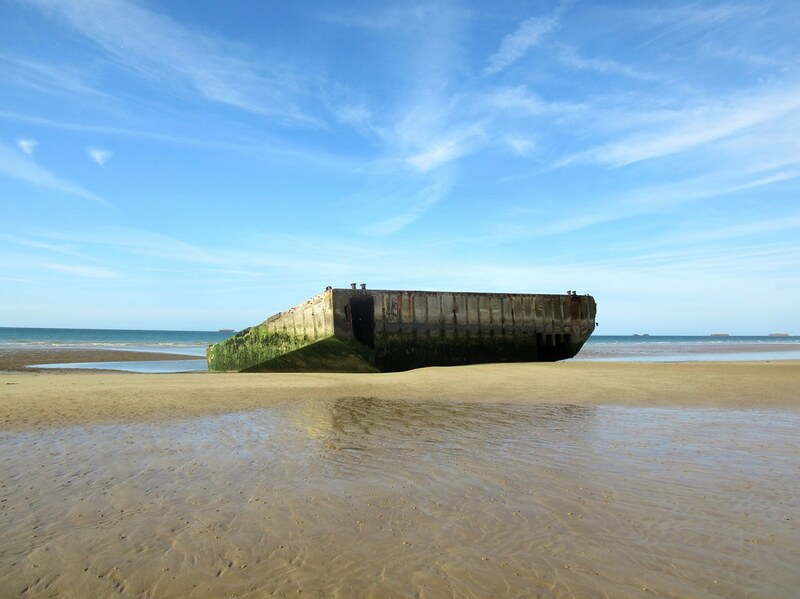 At Ouistreham we had to head inland along a river for about 5 kilometres to reach the first crossing. Our ignorance really shows here, as we rode across the bridge and away without realising that this was Pegasus Bridge. I saw a sign for it once we’d passed, and thought that the name sounded familiar and made a mental note to check Wikipedia later. 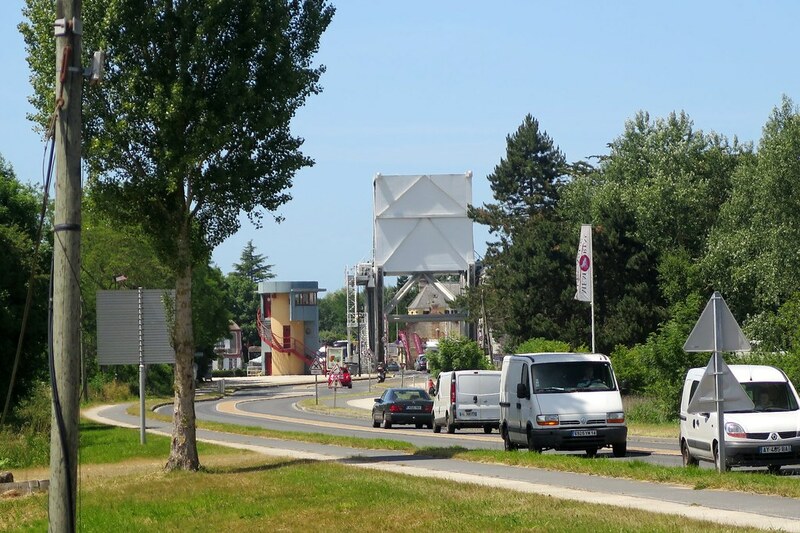 Of course, Pegasus Bridge is the location of the first and probably most significant battle of the D-Day invasion. I took a photo of it in the distance, thinking I probably ought to have noted it in the blog. 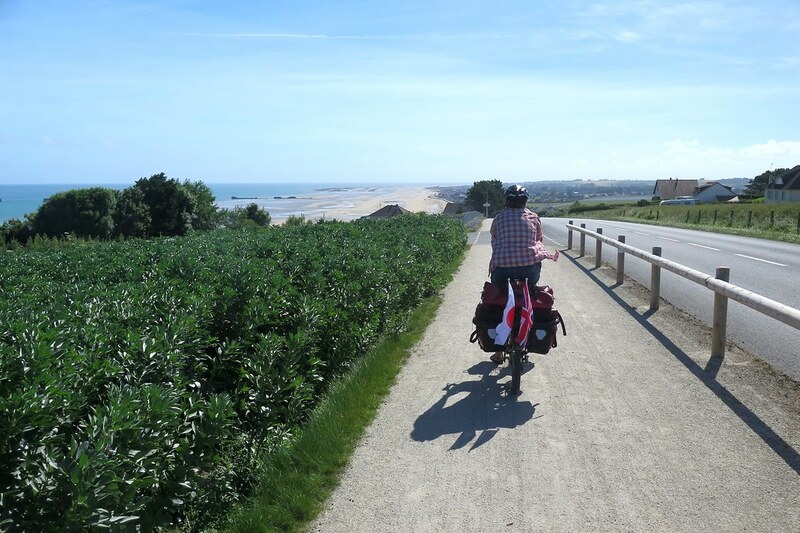 We continued downstream on a gravel cycle path back to the sea and soon were in Cabourg, then Houlgate, both really nice looking seaside towns. 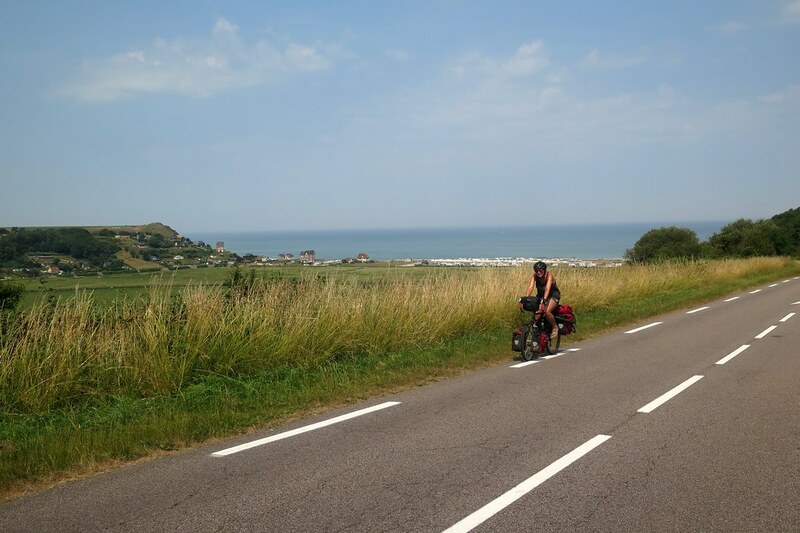 At the top of a climb away from Houlgate, we reached a campsite, where we called it for the day. After a very clear night, the tent was soaking wet with dew in the morning so we lay it out to dry before setting off. 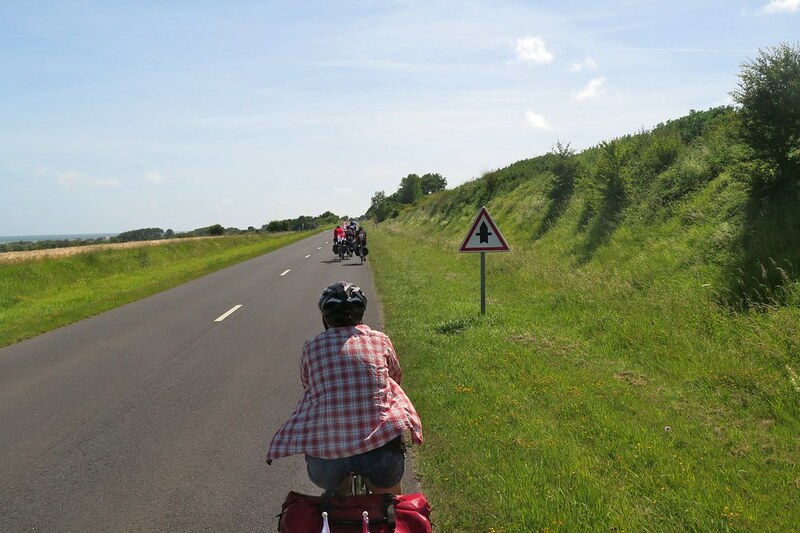 We were aiming to get to Honfleur for lunch, so we were keen to get away. 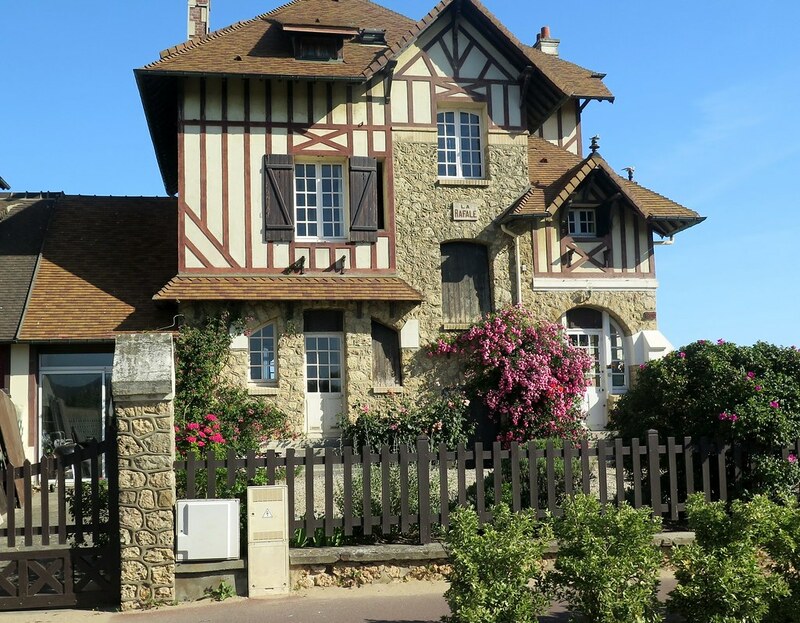 We followed the coast road, through more pretty coastal towns with their ‘Belle Epoque’ mansions lining the beach. 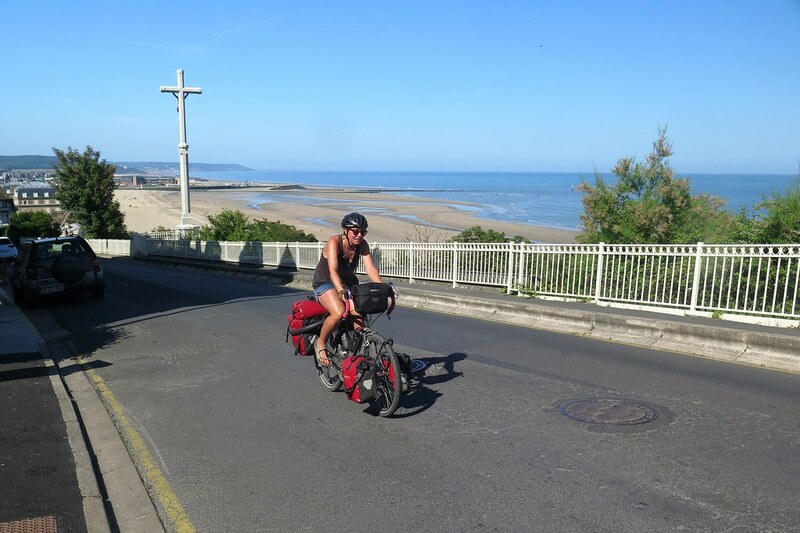 Trouville and Deauville came up quickly then we had some short sharp climbs up over the hills. 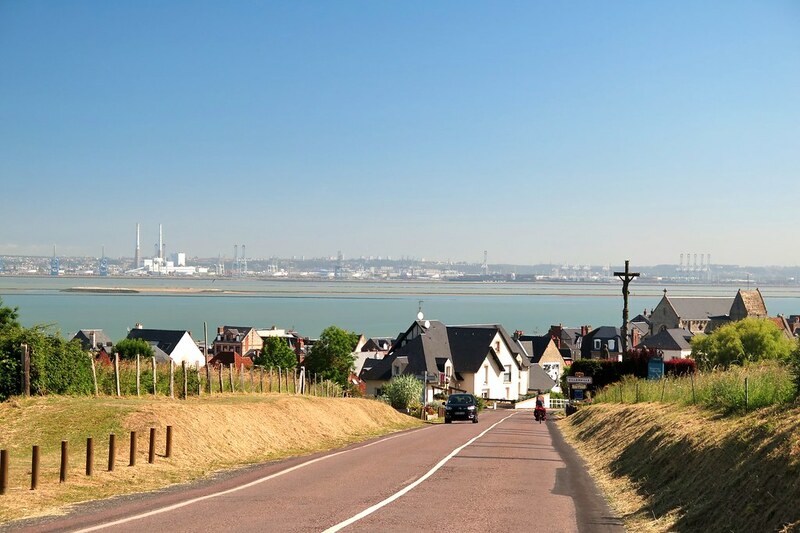 Once we were near Honfleur, the industrial landscape of Le Havre’s docks came into view across the estuary, quite a contrast from the quaint old villages on this side. 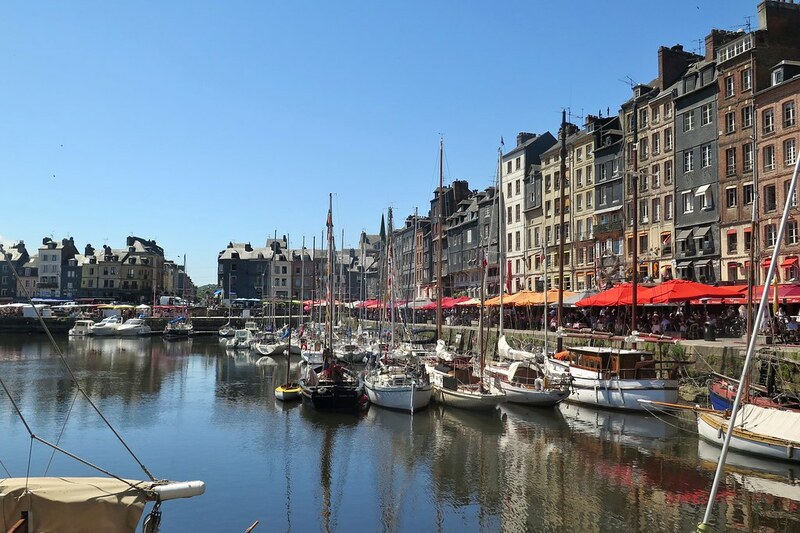 Honfleur is a really popular tourist spot, and we’d picked a Saturday to visit. Sure enough, it was heaving, with a big market blocking many of the cobbled streets, making it tricky to get anywhere with our bikes. 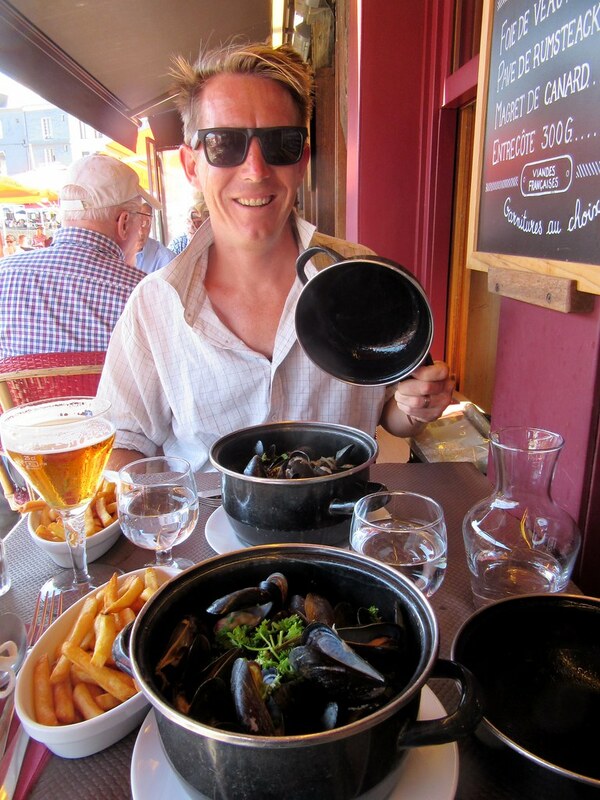 We chained the bikes up and left them to go for a wander around the harbour and to grab some moules frites at one of the many restaurants lining the quay. 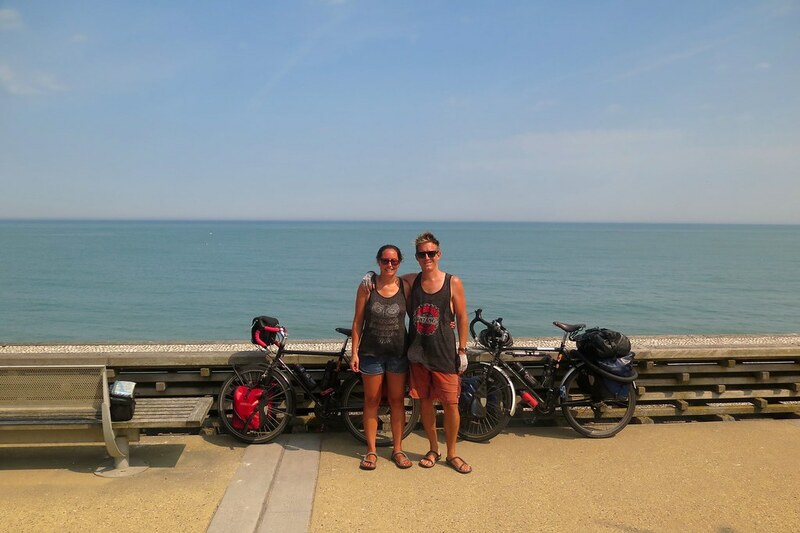 It’s another place we’ve visited together before, and despite a bit of hassle getting in and having to leave the bikes, we were glad to have stopped by again. 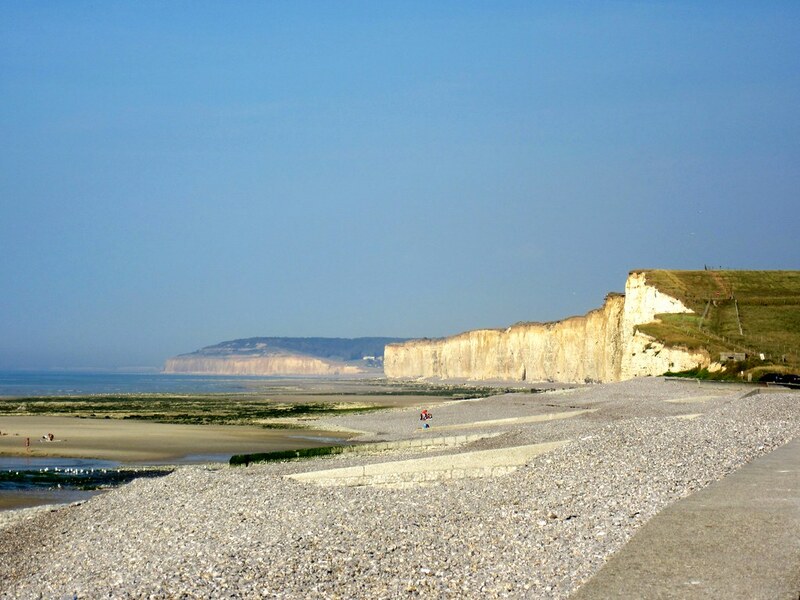 Between Honfleur and Le Havre is the estuary of the River Seine, the famous river that flows through Paris. 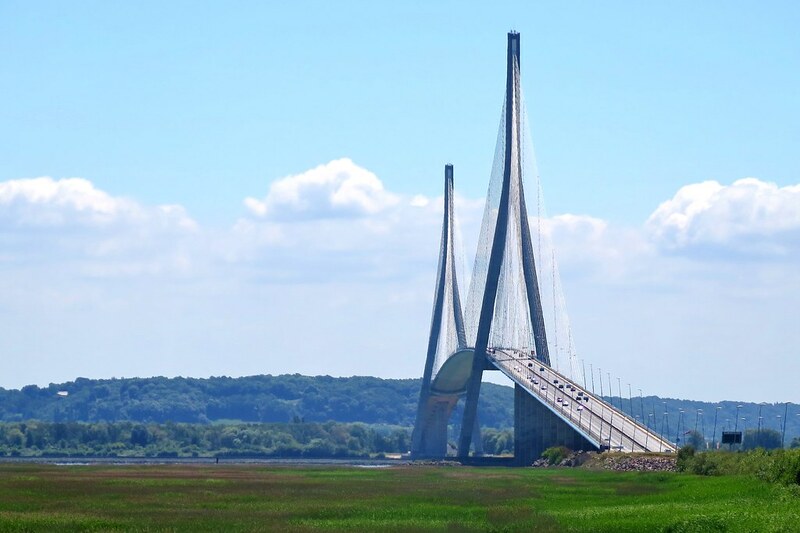 Ahead of us loomed the huge Pont de Normandie a 3 kilometre long suspension bridge. 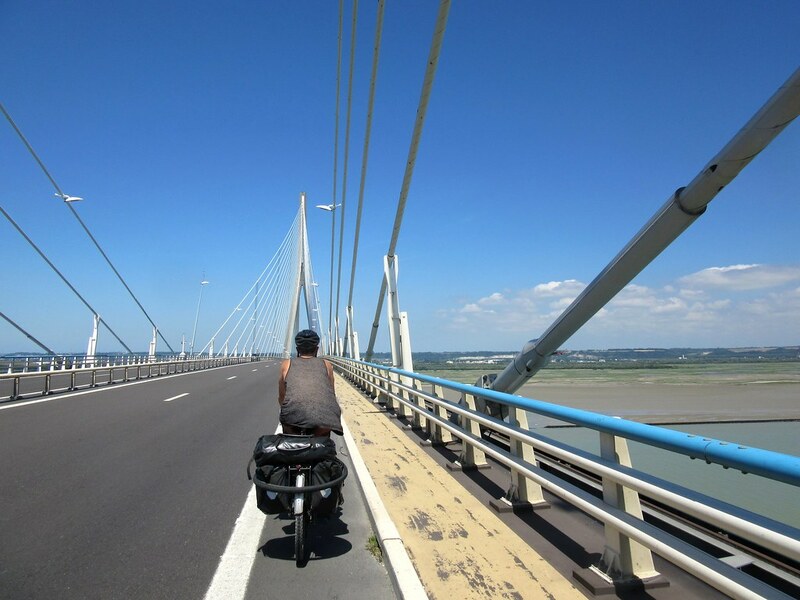 After a less than pleasant ride across the bridge at Saint Nazaire, we were a little bit wary, but the only other option was a long ride inland. (Or you could swim, but you’d be inseine to try. Thank you) As it turned out, it was no problem. 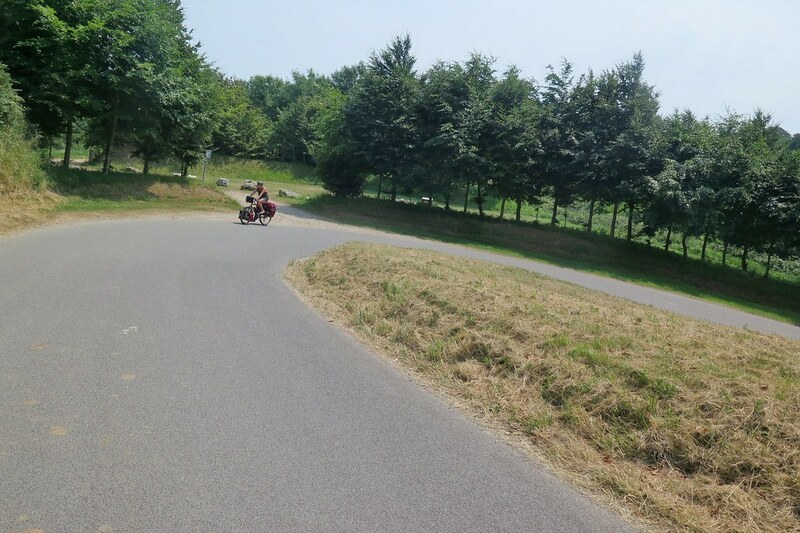 There was a wide cycle lane and very little wind so it was a lot of fun, especially rolling down the far side. Once we were off the bridge, we hooked a left along a cycle path, taking the direct route through the docks into Le Havre. 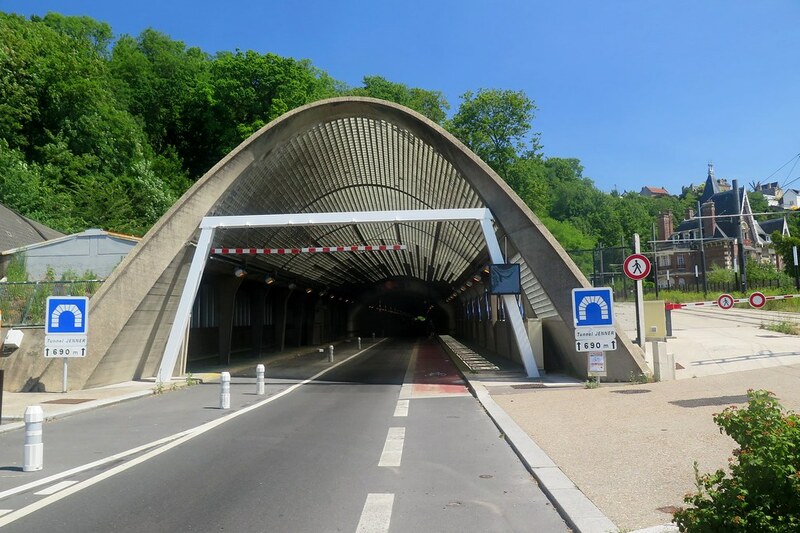 It’s not the most attractive city we’ve seen in France, but interesting enough. We stuck around for a rest day to plan our final few days in France, and to get on with organising boring stuff like phones and car insurance for when we arrive back in the UK. This thing really is coming to an end. 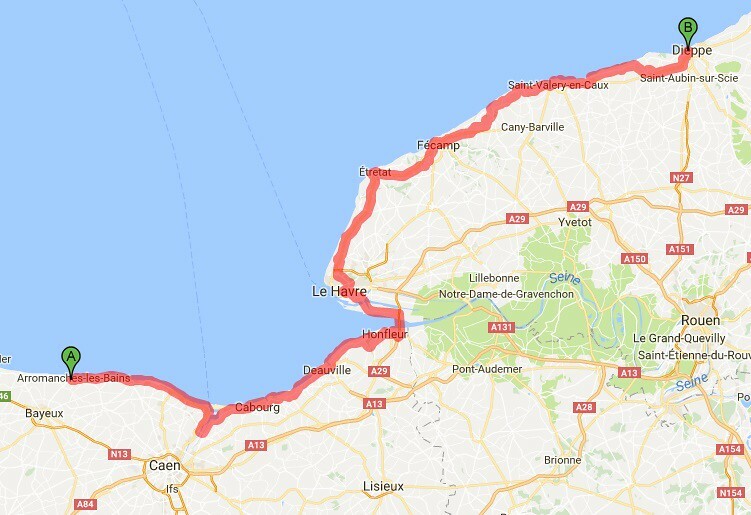 Le Havre to Dieppe isn’t a long way, and we had a few days to spare. We knew nothing about the area, and I was a little concerned we might be kicking around trying to kill time, not an ideal way bring the trip to a close. As it turned out, we’ve had an amazing few days, thanks largely to the weather, but also to the beautiful landscape, cliffs and beaches along this coast. With the big finish looming, we talked a lot about what we’ve done over the past couple of years, reminiscing on the highlights of what’s been an incredible trip. It still doesn’t quite seem real, but we’re starting to believe that we’re going to really pull it off and reach the UK. 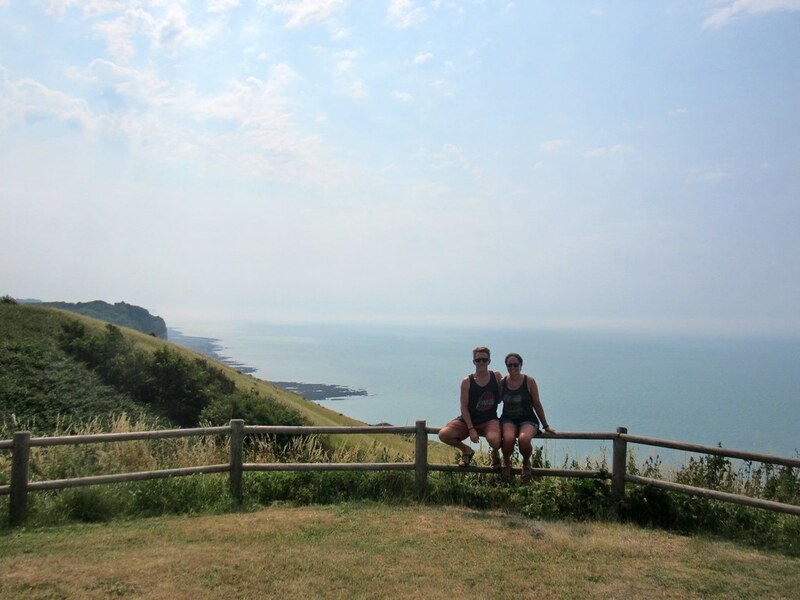 It wasn’t a total walk (or ride) in the park, there were still some tough climbs to ride to get to Dieppe, especially in the heat. 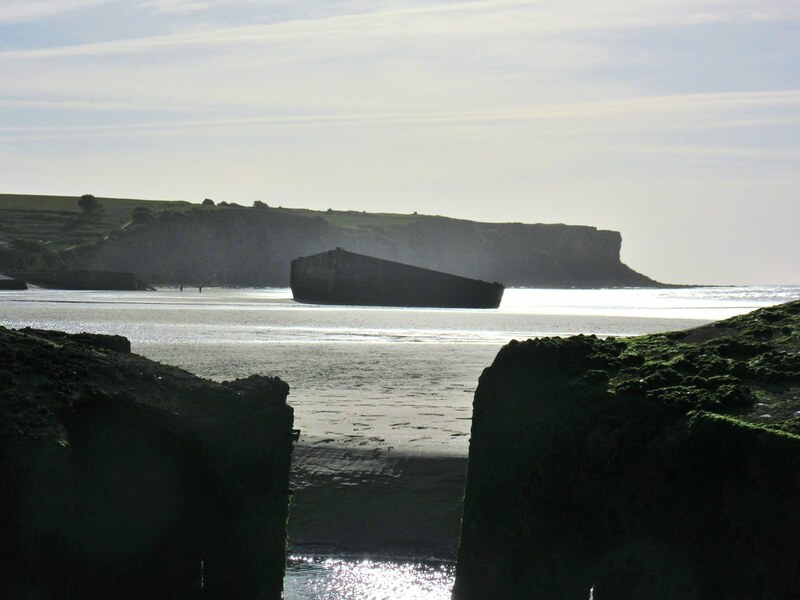 The first started immediately as we left Le Havre, out of town through a tunnel and up onto the cliffs to the north. 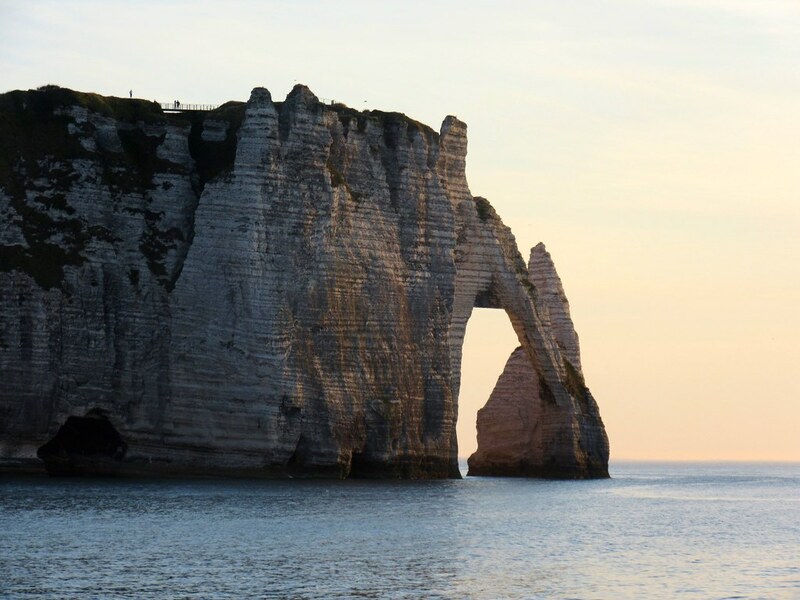 It was a short day though, and after only 20km or so we were rolling back downhill to the sea at Etretat, famous for the arches in its white cliffs, the inspiration for several impressionist works of art. 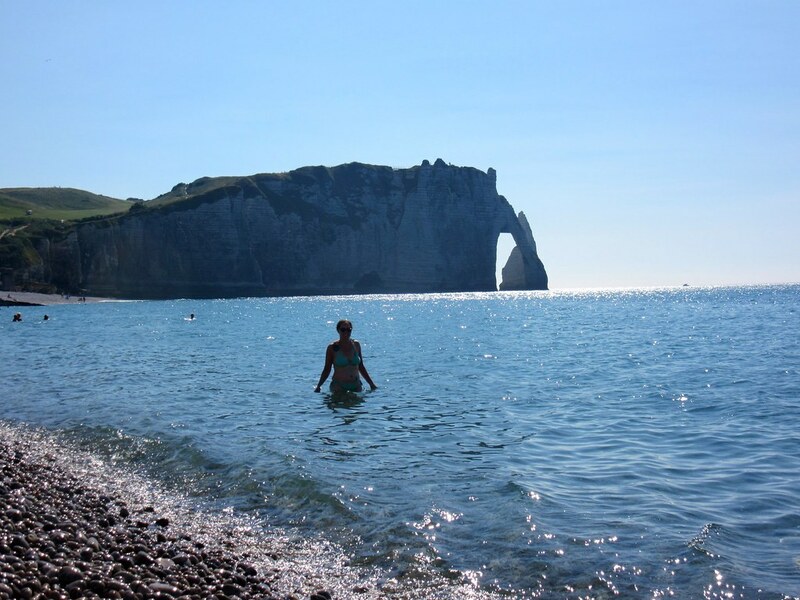 Once we’d left our stuff at a campsite, we were straight down to the beach for a swim, the Channel feeling cold, but very refreshing as the temperature was way into the 30s. We came back to the beach again after dinner to watch the sunset. The next day was more of the same. 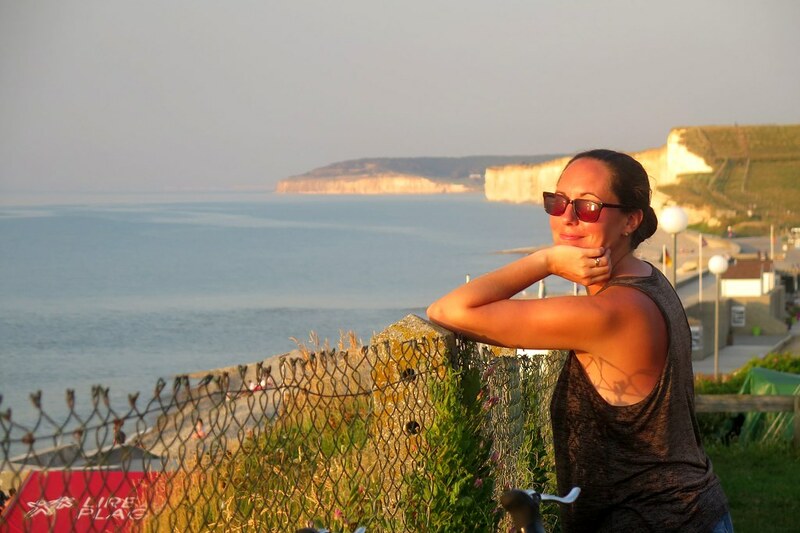 Beautiful hot sunshine, riding between the farmland on the clifftops and the beaches underneath. 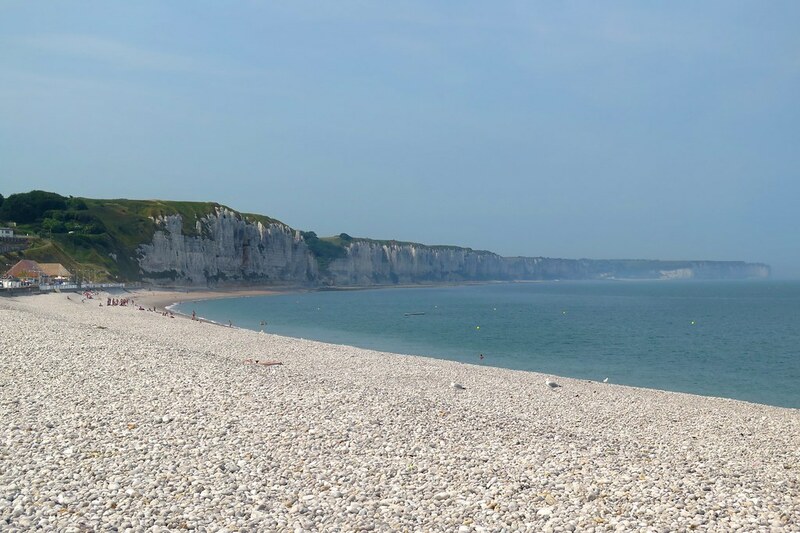 We stopped for some lunch in Fecamp, another fishing port with a wide shingle beach between white cliffs. Then a couple of ups and downs, zero to one hundred metres and back again. We were aiming for a campsite, appropriately named ‘Les Falaises’, the cliffs, so we weren’t surprised to finish the day with a final steep up. 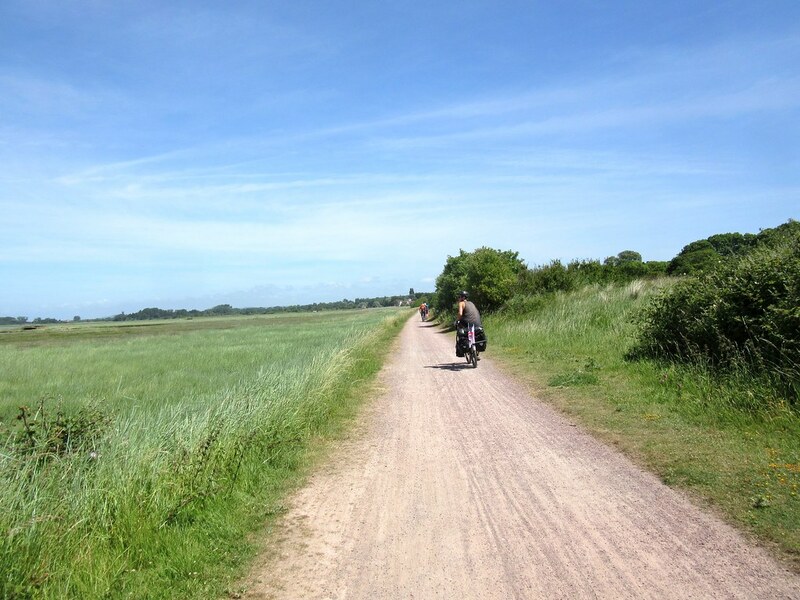 We stopped early, it’s nice to be able to leave our bikes and go for an explore, or just laze about in the sunshine. 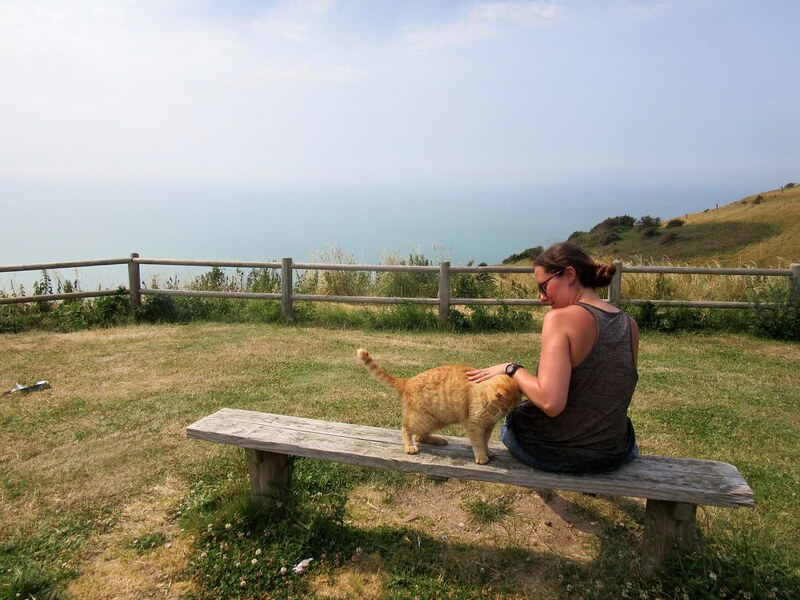 We walked along the clifftops here at St Pierre en Port, where Clare befriended a cat who followed us out to a viewpoint and sat with us as we enjoyed the view. It was a slightly longer day the next day, but at only 40 kilometres, we aren’t setting any records. 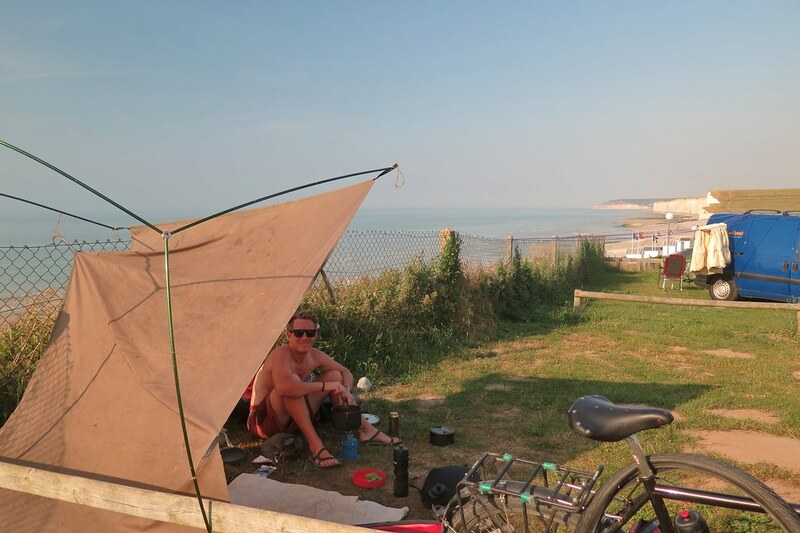 It was the hottest day of the year, so we took plenty of breaks when the road took us next to a beach. With every climb, we were looking forward to ending the day with a swim in the sea and a cold beer. 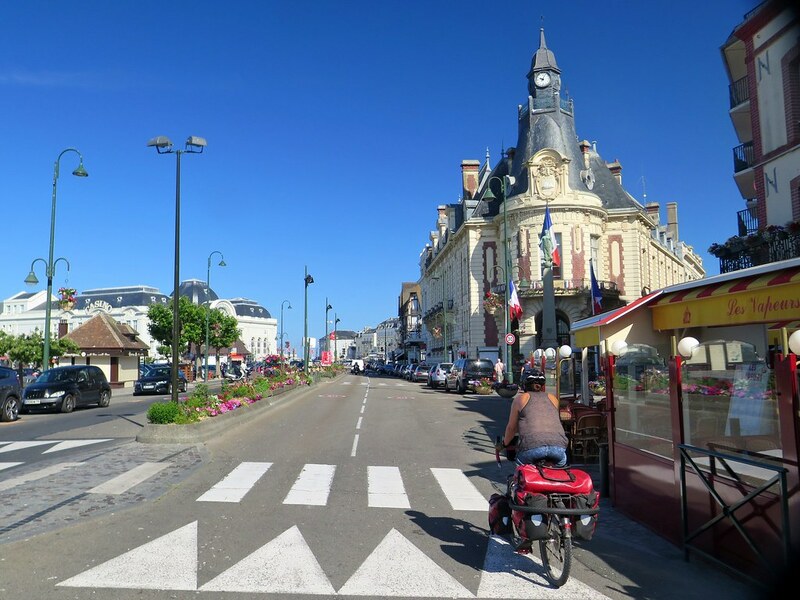 At our mellow pace, it was mid afternoon by the time we arrived at St Aubin sur Mer and found our way to the municipal campsite. As campsites go, this one was pretty good. We were given a pitch right on the cliff edge overlooking the beach below. The tide was way out, we had a bit of a walk to get to the sea, but it was worth it when we arrived. 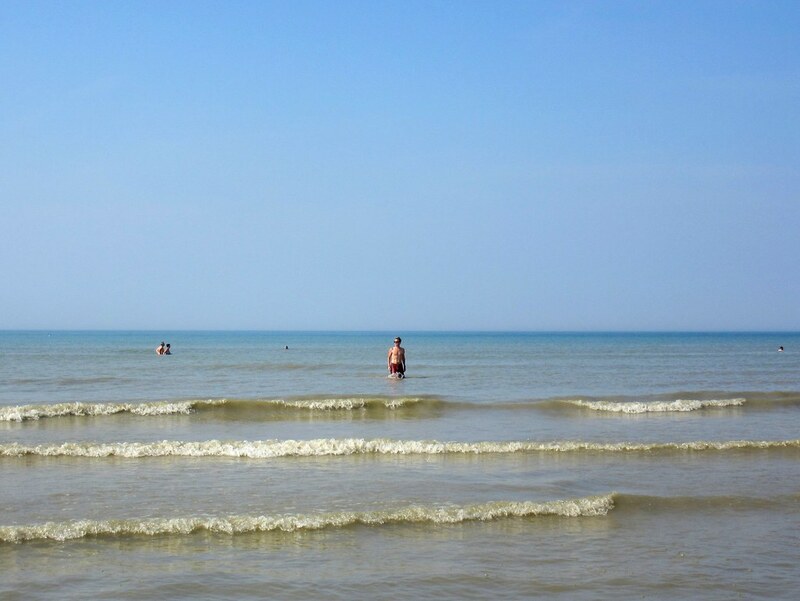 We definitely didn’t expect to be finishing this trip in Northern France lazing on the beach and swimming in the sea. Then it was back to the campsite to set up the tent for the final time, cooking fajitas for a last camp meal. It’s weird how attached we’ve become to the tent and our camping gear, it feels quite sad to think that it’ll all be packed away to languish in a cupboard somewhere. It’s served us well and hopefully we’ll be taking it back into the outdoors again soon. 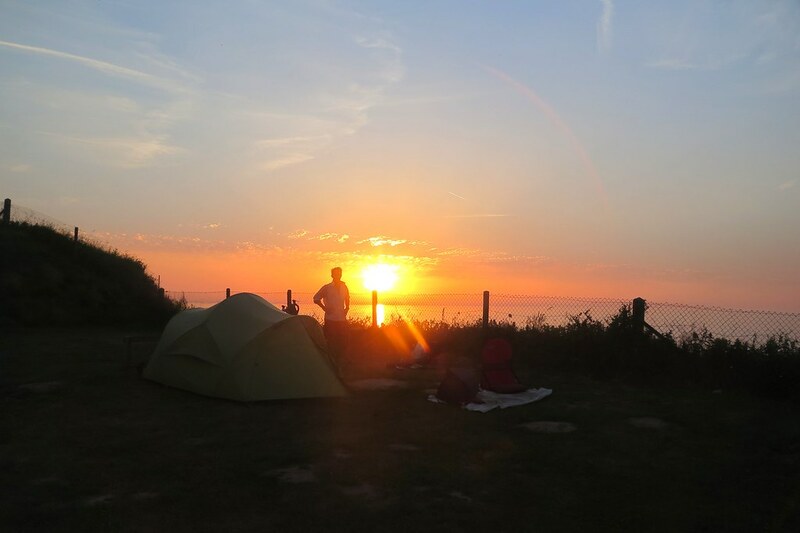 On the longest day of the year, we sat out late with a sundowner beer watching the colours change and the sun sinking into the sea, more to the north than the west at this time of year. We woke the next morning, and the world had disappeared. 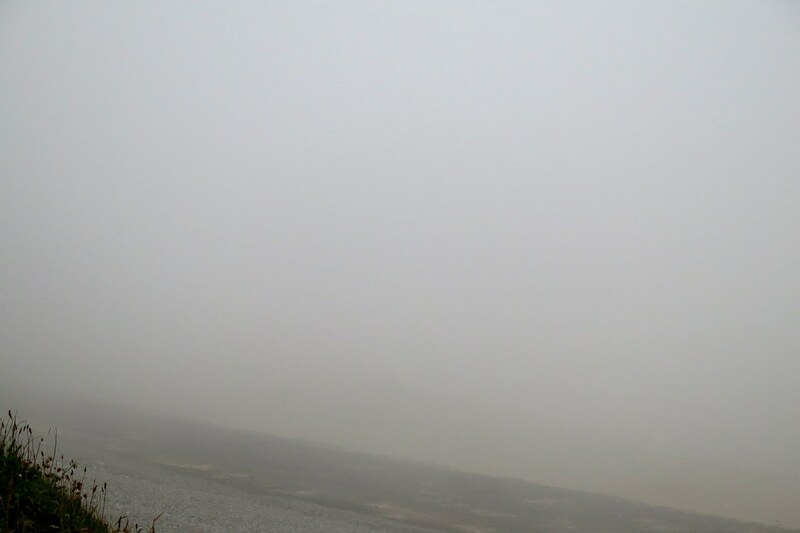 A thick sea fog had come in, hiding the beach and everything around us. It was a lot colder too, and a light drizzle was falling, so we dug our waterproof jackets out. Obviously it was wishful thinking that we wouldn’t need them again. 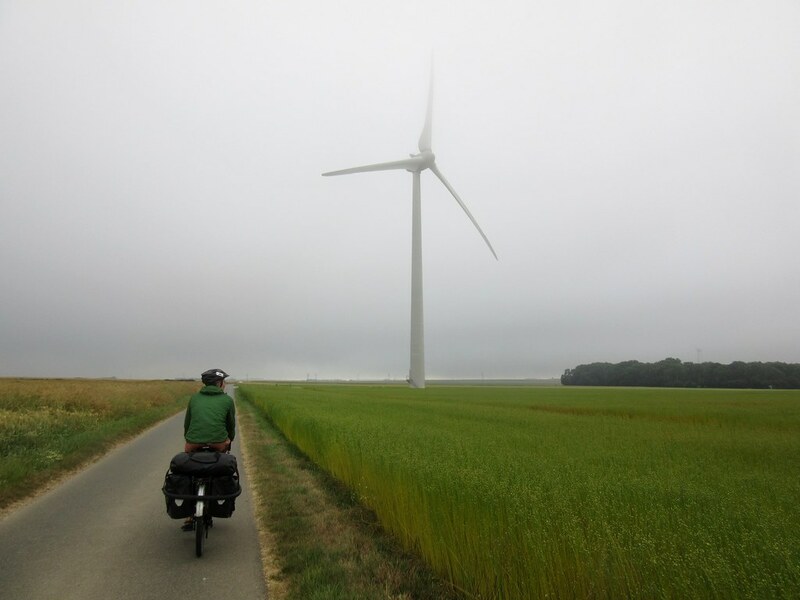 It was a short ride to Dieppe, the sky staying grey all morning. 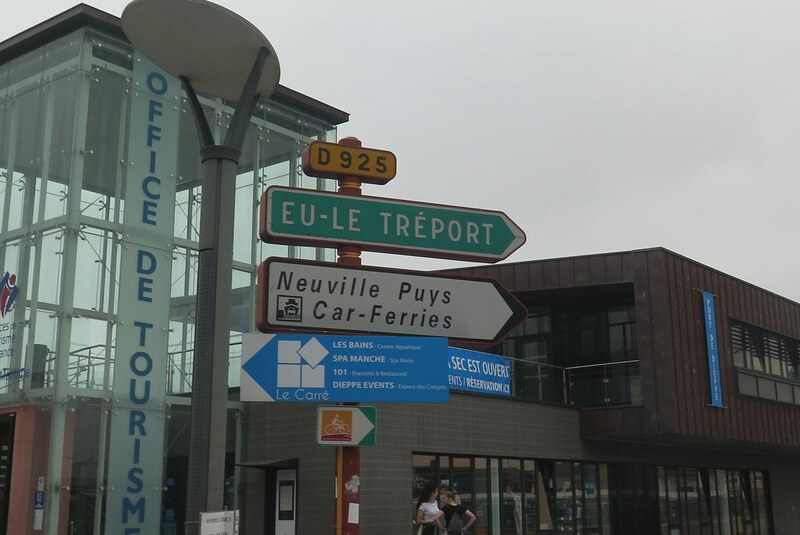 We arrived by lunchtime, finding the accomodation we’d booked close to the ferry port. And that’s it for France! 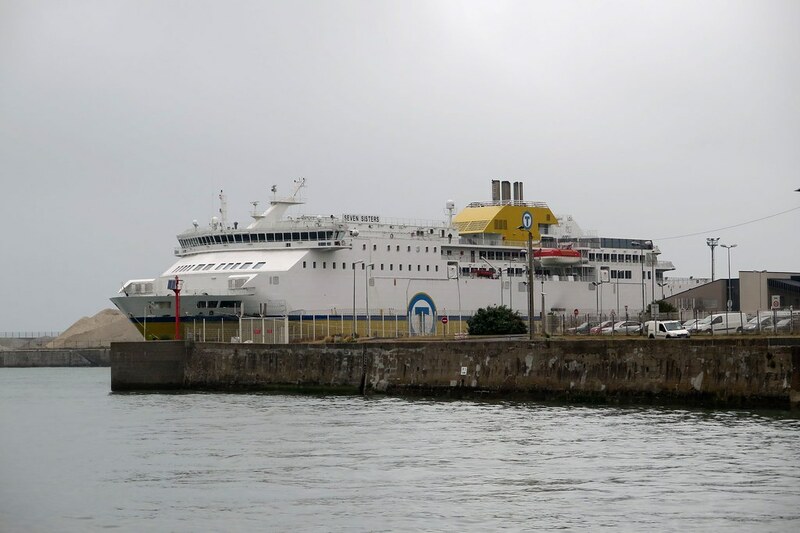 Our ferry leaves at 11 o’clock tomorrow morning and from Newhaven, it’s about 65 kilometres to the finish line. No doubt the next couple of days will get emotional! Cmooon guys!!!! You are my heroes! I will cry for you tomorrow! Almost 2 years on the saddle, including 2 months with stupid Frenchies… I would give everything to be in your shoes right now, so many things and memories must be going on in your head! Enjoy these very last moments! They probably are the best!!! Great trip report. Your photos are the icing on the cake. All the best for your homecoming. I can imagine a few hankies getting a workout as hands and arms. Thank you for taking us along with you. It’s been a joy to share your journey. Thanks for your comment Kathy, nice to hear from you and thank you for reading. Have been enjoying your great blog, great writing and pictures. 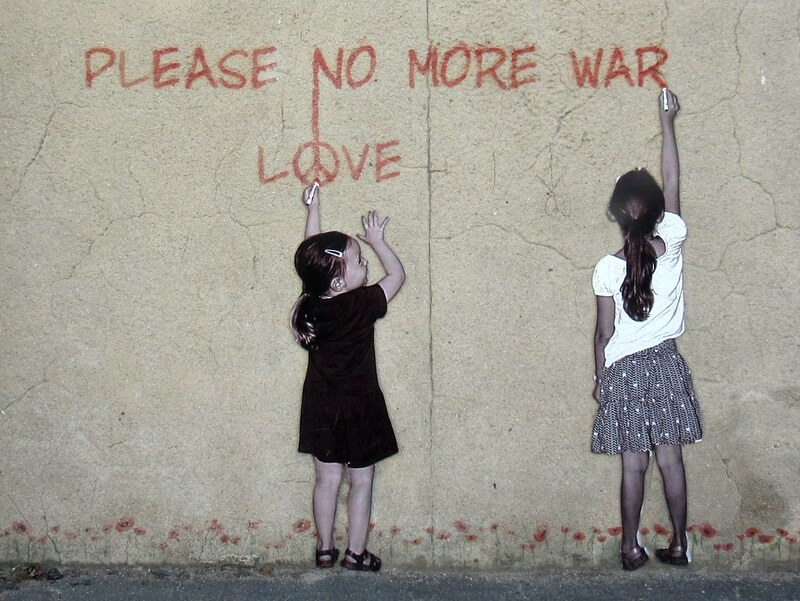 Love the “No more War” mural! Enjoy the ferry trip and the traffic in southern England! Yep, the traffic was a bit of an eye opener on the South Coast! Fortunately we were on to cycle lanes quite quickly. Thanks guys! We’ve been so busy, we haven’t had a chance to catch up on your posts from Hokkaido yet! I’m really looking forward to hearing how you found it. Enjoy the last of your ride!